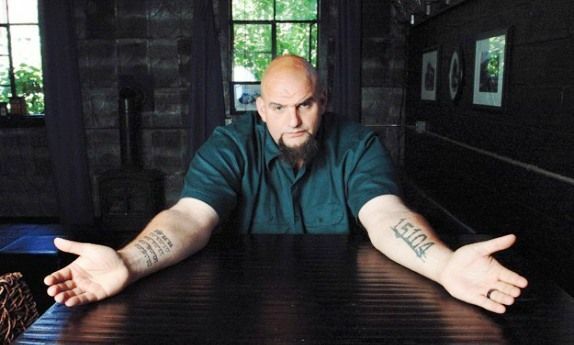 6-feet 8-inches tall with a shaved head, John Fetterman, the mayor of Braddock, Pennsylvania, potential Capitol Hill lawmaker is most talked about his tattoos on his both forearms. John Fetterman’s one arm marks the Braddock’s ZIP code, “15104,” which he got after winning the three-way Democratic primary for mayor in 2005, besting the incumbent by just one vote. 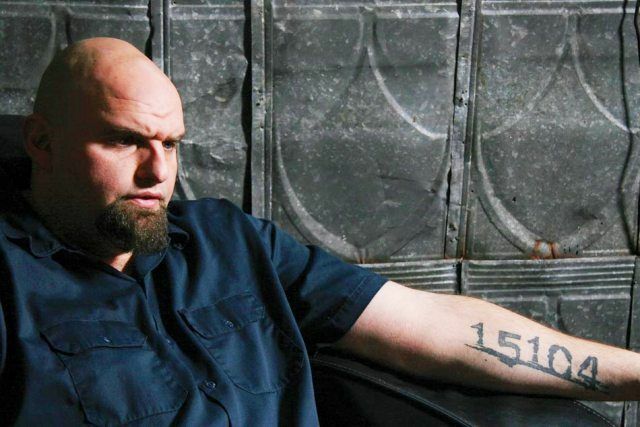 Fetterman fell in love with Braddock and with the history it held. So, he tattooed the zip code, on his left arm. His other tattoo is the more serious one since his right arm has a mysterious list of numbers – 1/16/06, 10/8/06 – six in all. “These represent the dates of people that have been killed through violence in my community since I’ve been mayor,” said John. These are the dates of which people who died in terrifying circumstances under his watch. So John has tattooed the dates of every homicide in the town since he took office. One refers to a child who froze to death after she was left in a park overnight by her father. There are some other stories related to these dates of his tattoo.